As part of the deal, Sunnyside will receive full course materials for English for kindergartners through fifth-graders and math for sixth- through eighth-graders. The materials are free to the district and teachers are able to modify the content or delivery method. The only thing that costs money is the professional development, which could cost the district between $30,000 to $45,000, though an amount is yet to be determined, Betten said. Sunnyside has already used some open-source content for English, social studies and science for some grades, she said. The district has been strategically abandoning traditional textbooks in favor of digital content. The district has experienced some challenges, including that the free content includes an “overwhelming” amount of resources, which made interfaces difficult to navigate for teachers, Betten said. Sunnyside wants to resolve such issues with its new partnership and the professional development that would be made available through it. There are some glitches to be worked out, but, overall, open education resources’ benefits far outweigh the issues, she said. Among the benefits is that unlike traditional textbooks, information in the material can be updated frequently and immediately. “If they find a new planet, we can have it immediately,” Betten said. Sunnyside was chosen as a pilot district based on its high number of minority and low-income students, said Larry Singer, CEO of K-12 OER Collaborative and former Pearson executive. Another benefit of using the collaborative’s open education resources is the ability of the district to receive the material in the format it wants, whether that is HTML or Microsoft OneNote format, Singer said, adding that teachers can have input in how the content is delivered. “They have full legal rights to improve it, to modify it and to share it with the teachers in the next classroom,” he said. The term “open source” may sound alarming, as most people would first think of open-collaboration projects like Wikipedia, where any member of the public can do what they want with the information. But there are different types of open-source content, Singer said. K-12 OER Collaborative’s open education resources are different in that educators and researchers with expertise in education material develop them, and professionals can collaborate on making them better, similar to when software is improved through the open collaboration of professionals, he said. One example of this kind of collaboration includes the Linux operating system. 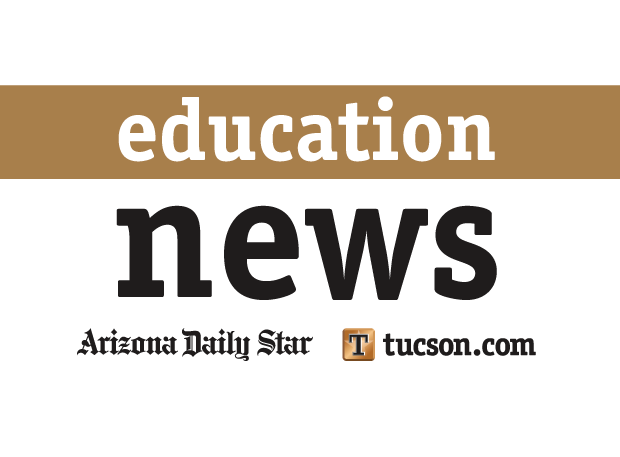 The department supports more options for textbooks, digital or not, said Charles Tack, a spokesman for the Arizona Department of Education. In fact, the state education department has taken part in an initiative called “#GoOpen,” which supports schools’ use of open-license education material. However, the department itself is not involved in vetting the content to make sure it’s aligned with state standards. “It’s going to come down to the individual districts to carefully consider what they are selecting,” he said. Even if Sunnyside were to suddenly receive a large amount of capital money to buy textbooks, Betten, the curriculum director, said it would not go back to using paper textbooks. The district has a one-to-one laptop program and operates largely digitally now. “It’s just not as relevant in the space that we’re in,” she said. Business professionals and others can sign up to share their expertise in schools. Many of its aging textbooks and materials are not aligned with Arizona's new standards. Educators from across the country see how the Tucson district uses technology to teach. Planning lawsuit to increase amount of money available for districts.